Chuck was born and raised in Wilmington and began his career with Landfall as a groundskeeper for the Temple Gardens 23 years ago. Chuck has a wide variety of talents and currently provides services related to sod, drainage and hardscape. His brick paver designs can be seen on many retaining walls and walkways throughout our community. 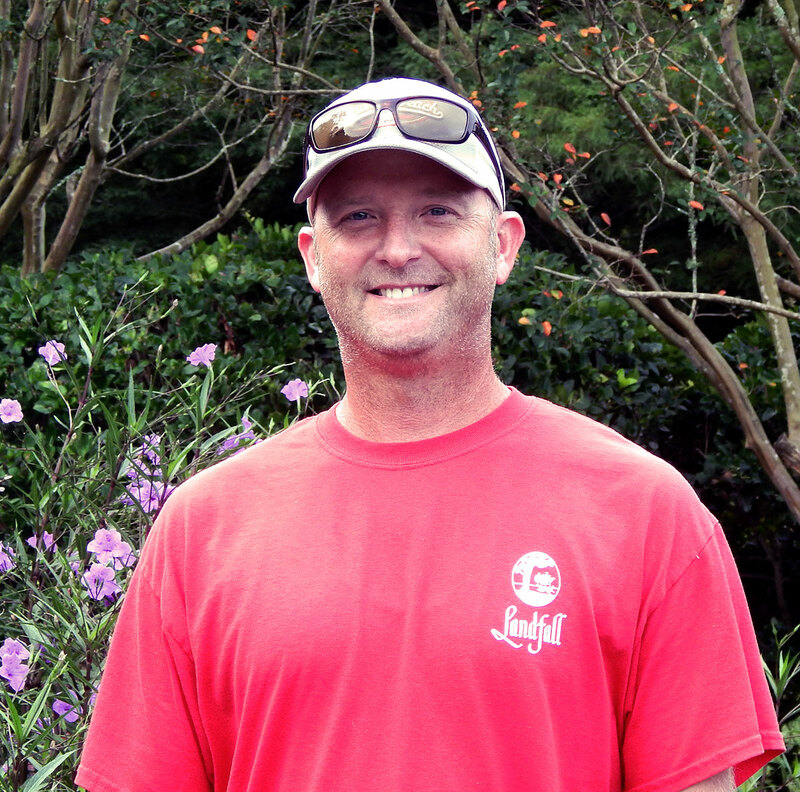 Jeff earned his degree in Horticulture from the University of Connecticut and is nearing his seventh year as a Landfall employee. Currently, his favorite plants include Sago Palms, and Plumbagos, which can be seen in many of our common area planting beds. Jeff also designed the “Landfall 1524” planting bed near the Drysdale entrance, which has become a fast favorite in the community.